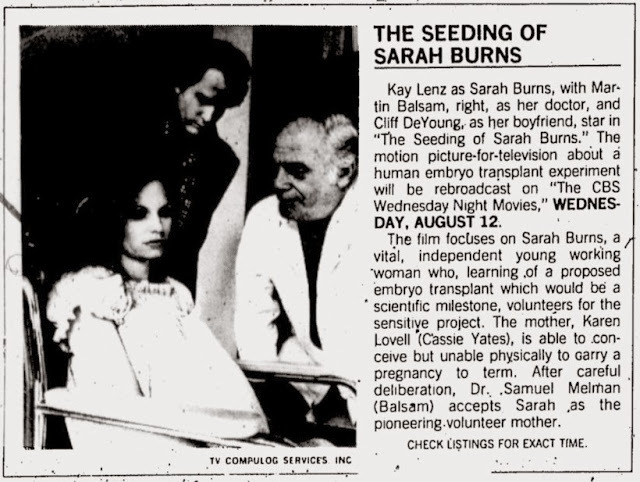 In 1979, Kay Lenz starred alongside Cliff De Young, Martin Balsam and Cassie Yates in The Seeding of Sarah Burns. 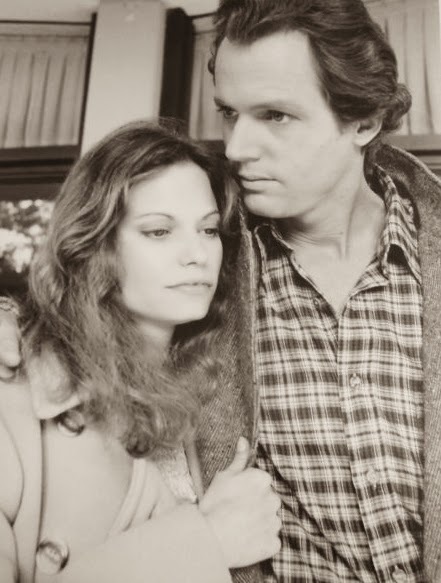 This TV movie is not very well remembered today and this is probably due mostly to it's unavailability. 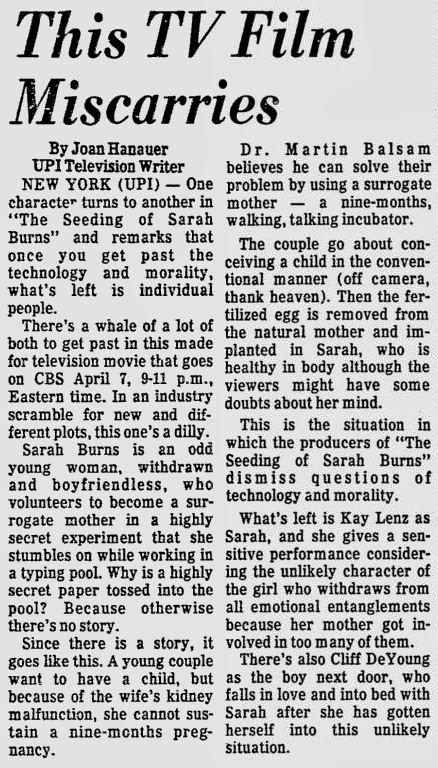 Despite the fact that the movie features several well-known personalities, it apparently had no VHS release and certainly no DVD release as of yet (though I'm sure some collector is sitting on a copy and this movie will make the rounds on the collector's circuit). 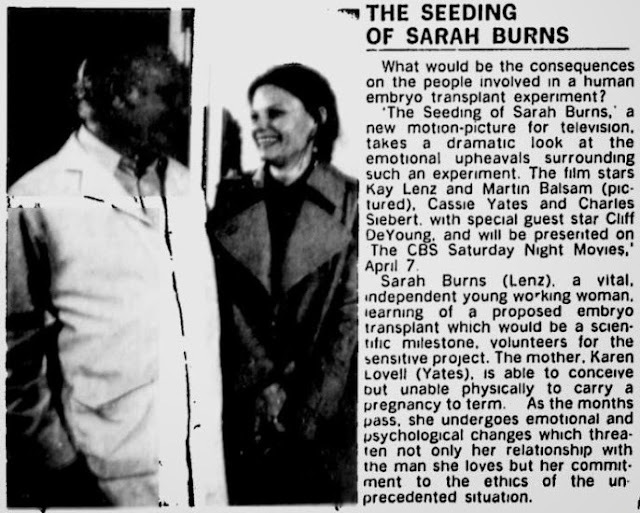 Regardless, information about The Seeding of Sarah Burns is readily available and the following are some examples of promotional photographs and newspaper advertisements for the project.